Kingpin's Hideaway – Gentlemenswear. With Balls. Welcome! The world of Kingpin Chic is one where dandy greets punk and Saville Row dances with Queen West. At the centre is Kingpin’s Hideaway; an oasis of traditional gentlemen’s clothing and accoutrement curated by Jonathan Hagey. The Hideaway is for those dapper few looking to add signature pieces to their wardrobe, or collection. 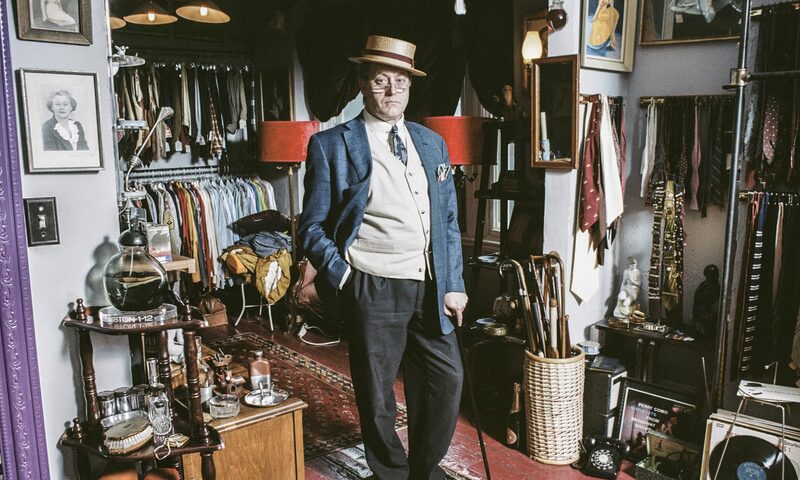 Antiques, oddities and collectibles sit side by side with Edwardian frock coats, silk bow ties, and Rat Pack tuxedos. The Hideaway also houses the largest collection of silk plush top hats in Toronto!